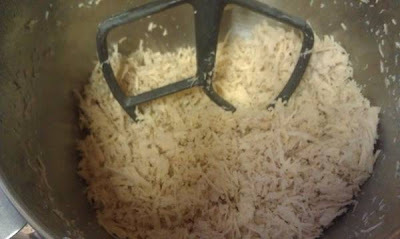 McClellan Clan: Shred Chicken in less than a minute. I hate to shred chicken, which is why I usually ask Steve to do it if he is around. I read about this online here and decided to try in last night with the chicken in our fajitas. 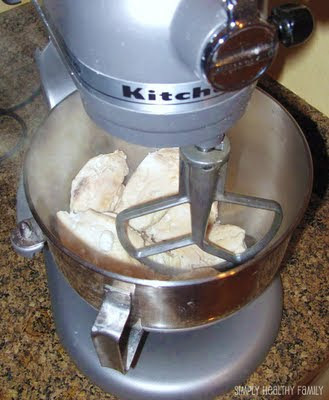 Throw your hot chicken in the kitchen aid and watch it instantly fall apart. Takes less than a minute! Got to love the kitchen aid!